A final pitch date has been set for the Moneysupermarket.com ad account, while Brothers & Sisters and Republic of Media join the new-business rankings for creative and media respectively. Agencies vying for the Moneysupermarket.com creative business will pitch on 24 May. Abbott Mead Vickers BBDO, Saatchi & Saatchi London, WCRS and Wieden & Kennedy are hoping to succeed Mother, which has split with the brand. AAR is assisting with agency selection. Magnet is about to pick a new ad agency after holding pitches last week with BJL, Krow, Isobel and McCann Manchester. CheethamBell, which has held the account since 2005, did not repitch. AAR, again, is running the review. Sofology, the sofa retailer owned by DFS, is on the hunt for a creative agency. The incumbent on the business is Alpha Century. Above & Beyond and London Designer Outlet have split after four years. Since 2014, Above & Beyond has created work including out-of-home, press, radio and digital assets under the "Hello LDO" campaign platform. Audi has moved its CRM business to Proximity without a pitch, effective from this week. It was previously with Bartle Bogle Hegarty London, which continues to run Audi's above-the-line advertising. Proximity also handles CRM for five other Volkswagen Group brands: VW, VW commercial vehicles, Skoda, Seat and VW financial services. Asda has picked AMV BDDO to lead a BBDO multi-agency account for the supermarket after a competitive pitch. The creative account moves from Saatchi & Saatchi London, which pitched against AMV in a final shoot-out. J Walter Thompson London and Leo Burnett were involved in an earlier stage of the pitch. 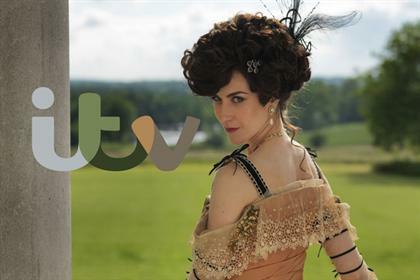 ITV has appointed Uncommon to work alongside ITV Marketing and ITV Creative on a future-facing brand strategy, following a competitive pitch. Weight Watchers has picked Anomaly as its lead global ad agency. The brand has worked with agencies Wieden & Kennedy, McCann and Havas in recent years. JD Williams has appointed TBWA\Manchester to run its ad account. The brand split with Y&R London earlier this year. The brand consultancy arm of St Luke’s has won the brand brief for The Scotch Malt Whisky Society, following a competitive pitch. The review was handled by Oystercatchers and there is no incumbent. TMW Unlimited has been appointed by Genius Gluten Free, the UK’s market-leading gluten-free lifestyle brand, to handle its digital and social account following a competitive pitch. The agency will work with Genius on digital strategy, advertising and content, as well as social, influencer marketing and PR.